S.A.C. 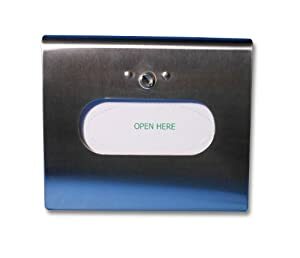 Sanitary napkin and tampon disposal bag dispenser, brushed stainless steel, box format, with lock. 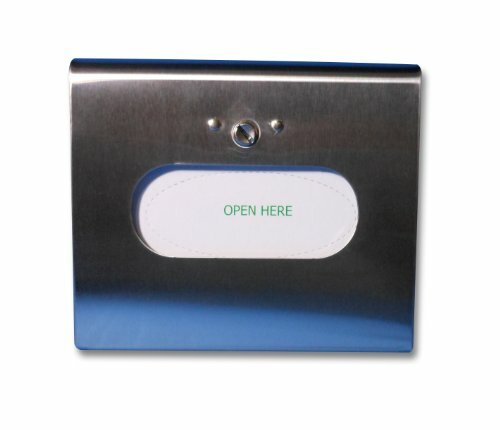 Lockable and the attached front cover conveniently opens upward to load more bags. 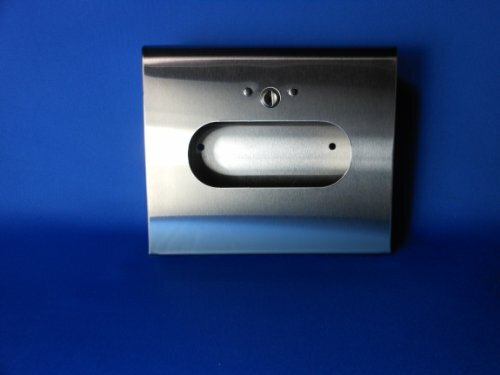 The small size of the dispenser allows for easy installation in ladies restroom stalls. 22 Gauge steel, welded with piano hinge. Keyed lock. Wall or partition mountable. 1 unit. 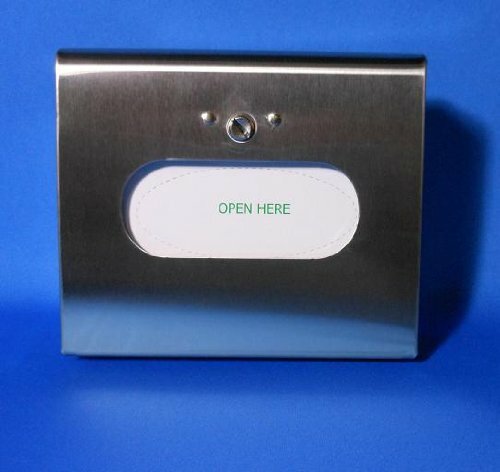 The dispenser measures 6-1/4-inches length by 5-1/4-inches width by 1-1/2-inches height. 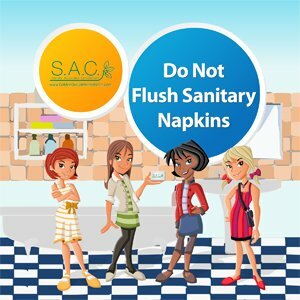 For use with S.A.C. 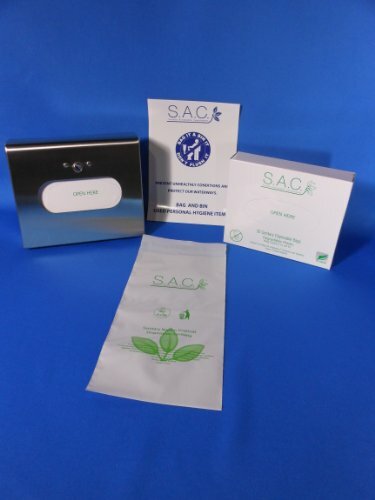 sanitary napkin disposal bags, box format (SB8836). 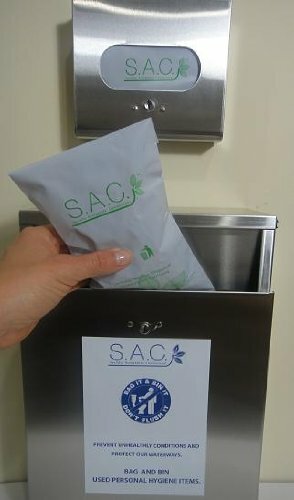 Capacity 50 disposal bags.